The color concept on this stunning bracelet resembles the keys on a classic piano. It boasts 10 oval cut, prong set, black diamonds totaling 4.84 carats. 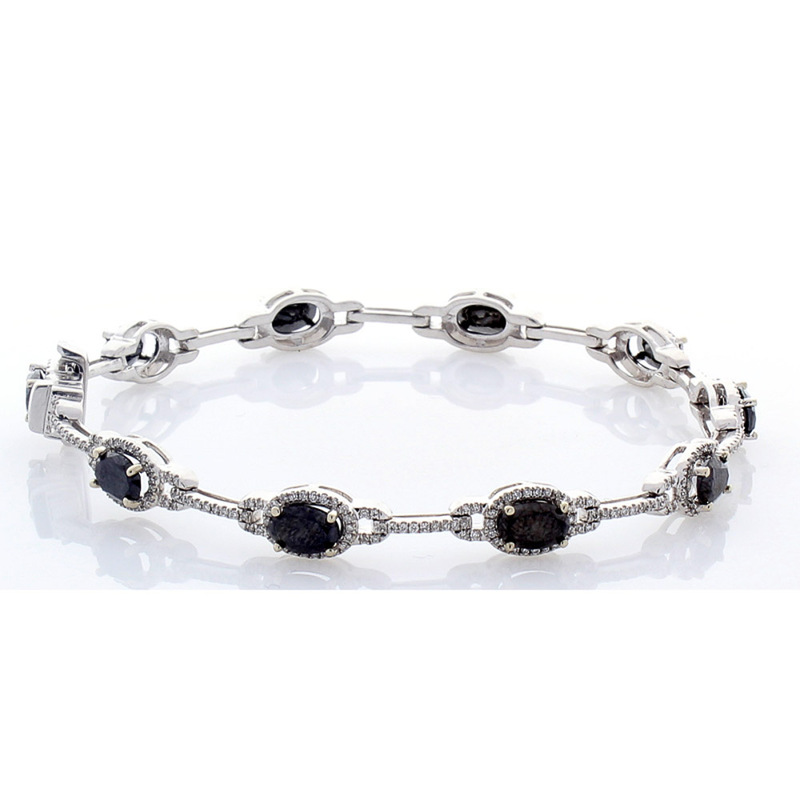 These rich black diamonds are complemented by sparkling round brilliant cut diamonds, that are prong set around each black diamond, in a halo cluster and bar links in between totaling 0.89 carats. A hidden box clasp and safety latch secures this 14 K white gold tennis bracelet and is the perfect selection for anniversary gifts or birthday presents.